The Reason for God Group Bible Study by Timothy Keller. 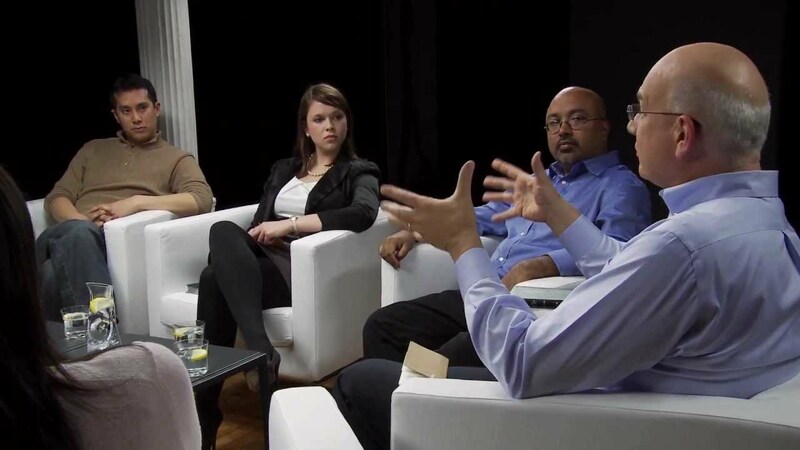 In The Reason for God Group Bible Study, pastor and author Tim Keller meets with a group of people over six sessions to address their doubts and objections to Christianity. Using literature, philosophy, real-life experiences, and the Bible, Keller and the group explore the truth of Christianity. The Discussion Guide and DVD will help you and your group learn how to engage others in dialogue on six common objections to Christianity. Whether in a group setting or individual conversation, The Reason for God is a resource for what to say in response to these objections, and a model for how to say it. 1. Isn’t the Bible a Myth? 2. How Can You Say There Is Only One Way to God? 3. What Gives You the Right to Tell Me How to Live My Life? 4. Why Does God Allow Suffering? 5. Why Is the Church Responsible for So Much Injustice? 6. How Can God Be Full of Love and Wrath at the Same Time? DVD: Six sessions. Approximately 120 min. total. Dr. Keller’s books, including the New York Times bestselling The Reason for God and The Prodigal God, have sold over 1 million copies and been translated into 15 languages. The book of Tim Keller is also in French : La raison, est pour Dieu ! excellent pour toute personne qui pense que poiur croire on n a pas besoin de demissionner du point de vue de la raison.For any body who thinks that in order to believe you need to make a great leap in the dark, indiana jones style. 1. his chemistry teacher didn’t study physical chemistry 2. his chemistry teacher was too old. 3. he mis-interpreted this chemistry teacher. we actually can see atoms and manipulate them. I don’t get how we got to this point where knowledge (or “consciousness”) has been separated in to “subjects” (probably that dreaded “public education”). That has to be the most unnatural way to learn about yourself and the universe. There is no “science”. There is no “art”, or “theology” or “religion” or “psychology”. There is only “knowing” (and “knowing” about “knowing” ad infinitum) which needs to be either taken as a whole or not at all. “matthew mark luke and john were written too early to make things up”. how do we know? i can’t find any resources online that point to scholarly papers radiocarbon dating fragments of the gospel. Great question, KL! This is just one example I can example. When the writers would recount their similar experiences, one would say, “I saw [specific name of a man] and another man” and then another say both specific names. And then a lot of times they would introduce a very simple character as “[name], son of _____ and ______.” Why would that be? What is the significant purpose of that? It’s because sometimes they really wouldn’t know who the person was, and only that one person. he’s a great teacher to learn from. This was sort of fun…civil and kind of Sweet…good effort. Very interesting conversations. I, as a believer and like Tim, am so aware of God’s presence all the time. It’s so strong that, besides knowing all the facts that make the bible true, there’s no denying Him! I’m from the Far East, Chinese ethnicity, the Christian faith is growing in that part of the world however I don’t feel the believers know much about the Christian faith, history or even Jesus. Does this video seem to be orchestrated in a way that it defeats the purpose of the subject matter? Interesting video, although I would have prefered if it had not been edited and we could have just listended to the full conversation without cuts. if i were like you my first questions wouldn’t be like that but : Who i am ? is this all an ilusion ? am i alone ? i want to know the truth . wow a day i heard that the god words are registered in the bible . ok , i am giving a chance to the ” god ” to hear if he really is what he pretend to be . his words are that what i was expacting from a god . And the bigest respect for the god , is study of his direct words . And everything else is the derivative to his words . Does anybody know what is the song that is playing in the beginning of the video? It sounds really good. Just a thought of the mind, it is true that there aren’t much evidences for the existence of God other than the Bible, which itself only states that God has always been there since the beginning. As a Christian myself however, I believe that faith and believe is not about proving or giving evidence, but to take a leap and find out what is on the other side. To tell the truth, I myself was dragged into Christianity by my parent’s Christian friends. However, I decided for once to do it on my own and try to understand it as much as I can. Through the help of many young Christian friends I was finally able to see it. Many Christians believe that by bringing their friends to church, they would just somehow see the Light overnight, but that is not true. It is a process of knowing, understanding and seeing. Those encouraging Christians sometimes don’t see deep into the problems, and instead think that God can solve it all. The truth is, God only helps those who really put their true efforts into everything. I encourage all of you here to take that leap and explore. You may think now that this is just some nonsense, but it really is just fear of the unknown. Don’t listen to the enthusiastic Christians who always try to get you to come to his or her Bible study group or Sunday worship, instead, take some time, research, and ask a close trustworthy Christian friend of yours. It is better that you know what you’ve been fearing than not knowing anything at all. P.S. Believing in God is not gonna solve any of your problems any time soon. You might face many unforeseen challenges. The question is whether you are ready to reach out and ask for help from God. I’m a non-christian, & i have a vested interest in the bible being false. I don’t care if you found the body of Jesus, he’s still a mythical person who never existed. I also believe that right & wrong is determined by my word!!!!! I AM THE WORD!!! You Christians are all irrational, why? Because I SAY SO!!!!! I think this whole “discussion” is fake. Those are all actors that read up a script. You can’t tell me that those real people who have a honest discussion. Is this Timothy Keller feel good about himself to hire a bunch of actors to have him preaching? I wish I would be a Christian. I could make a bunch of DVDs and sell them on Amazon for the sheep. I really enjoyed watching this. I think T. Keller is comfortable in his skin and that makes him a joy to watch. Here’s an idea. What did Jesus say? For the masters of their “own” ships, the thing you don’t get about “Christians” stumbling, is (if you are a true, reasonable and honest thinker, without some bias or denial who believes in disengaging your brain) if God depended on any Christian’s “example”, for any other persons way to Life/Him and forgiveness then we’re all completely dead/toast forever and everything would be absolutely meaningless, without any reasonable question. Weeping and gnashing of teeth Jesus said, repeatedly. No one is righteous, except Jesus. He is the Living Holy Spirit of God, who said “I am that I am”, has no beginning, or end, and is predestined Jesus The Christ, to appear also inside humanity, took ALL the full brunt of ALL death/Sin for you and each of us already; while PERFECT (Holy/Deity/Immaculate/Spotless/Flawless/Sinless) so deserving none, all voluntarily and also conquered death, back to Life in the flesh as witnessed, and is risen. He is, One With The Timeless Father at the same time. For those with The Spirit of Life: The hardest thing to wrap our minds around is the absolute Truth; our rewards/blessing are still NEVER deserved by ANYONE except for Jesus. Yes, that includes heaven and your own choice (Translation is we are His known “heirs”. Not God “choose” us). God’s grace is never deserved. YES! That means no True Love requires merit *and* it must also be just, or you are just calling it love and are in denial, “dying a lie”. No that doesn’t mean we are supposed to stay guilty and ashamed; Because that’s fake! No, real compassion is no a license to go your way. What about Samson? YOU have to find your Bible and in context, to see again. For the devil lives in the pretext and your justification. This doesn’t mean God didn’t make everyone in His good image, nor does it mean God’s didn’t give EVERYONE His Love partly. God is freedom ONLY and so gifts BACK to us and everyone, REAL Free choice(But real and true freedom can’t do just ANYTHING). Even though God’s knows what we’re going to choose this DOE NOT take away our choice or make it God’s! Nor does God’s testing us; but He is never to much and only for Good. Trippy I know; but there it is. God is so good and we can not full get that yet; but we can’t stop seeing new ways He’s better either. The deal we’re getting is so good, we ought to be HAPPY! COME ON PEOPLE THINK ABOUT THIS DEAL! We’re born to do wrong. We can not first see what is good. We do wrong. We can’t see that. Then the wages of sin, death(s) happen, as they do. Sometimes we stay lost in the pretense and counterfeit. Much like a prostitute that can not be spotted by the eye; but what profit a man to gain the whole world and lose their own soul? Is your “man behind the curtain” really THE accuser and the “”god” of this world? By contrast: God is not hidden! Seek and you will find. God’s “1st grace” of contrast let’s us see good (everywhere and timelessly, who is Truth and Life and His Word). We’re then GUILTY, and ashamed. God’s perfect and we’d mess Him up absolutely and we know that. This is a communication problem and why God seems far off. We have to turn to His BECAUSE it’s our choice. This it the harmony with God, only by Jesus, or atonement everyone is talking about. The real deal. God is using evil(Satan become evil by Satan’s free choice now set) and so he is doing all suffering; but this is contrast to God’s good purpose, and that is our good purpose, so we can see God’s FLAWLESS ways/character/wisdom. This is the “measure of faith” or trust in Jesus (to us, now our 2nd Grace) that we can choose, God gifts to us all. Yes we all know, to a point. He is the Spirit of Life Who calls us. This LOVE(forgiveness) is by Jesus real action, on The Cross and is in deed offered to EVERYONE. Yet, accepted by very few. Only uncommon who select the narrow road (still undeserved by all never the less). Those who choose to change their mind and not lean own their own understanding. Why would we think we’re unlimited and qualified to be God? The fine line and ENTIRE MEANING OF LIFE …….BOOM BOOM BOOM ! CRASH BANG! ….. is God made us to be children of God, yet NOT to play God; because that’s what Satan did, and though Satan is smarter than us all put together, so you need Jesus in your heart, not just your brain alone. Genuine Truth IS Love, you know. (Hey, ALL this is impossible for us, and all things are made possible through Christ Jesus), Satan is crazy absolutely; but that’s not dumb. If you ever doubted that, there is no position higher or beside God, omnipotent. Satan’s choice was not the same as ours, at base. Ours is Life or death(Satan). Satan was created in his age and as good at first and with free choice, by our good God (yes all knowing), and absolutely the most beautiful. An “Arch” angel/messenger/servant (not child of God like you), even over Michael the good. (All this is Bible check it). Satan choose between God/Life and Himself/Satan (as God), and since God’s job is filled (Where exactly would another God fit, reasonably? WHY isn’t all this absolutely true, and what if God has any flaw whatsoever? Would there be anything or us? Logic much? Have you reason or is that not part of your “belief”. Now what? Just “non-existence”, after this age is completely illogical, if you just use your critical thinking. That means we must be ready. The news is good. There ought to be a new way to say “good” for that! So rejoice! You won’t freaking believe the plan! I’m not kidding. You can learn about it and know more. It’s in there.) Satan’s vain playing God was absolutely and undeniably insane and caused God to cast Satan out. You have to get in your head that Satan in not a problem for God. God is infinity of good, and Satan’s an insane punk who’s soon to burn, relatively specking. If you Love God, God ALWAYS limits Satan, and will never test you (beyond your choice) by Satan with more than you can handle. Of course it you don’t choose Life you get Satan and your screwed. Your days here are a series of choices; that are a gift from God/Freedom alone and none of us deserve them. Culminating soon in complete Life or Death/Slavery. Choose carefully. One third of the angels followed Satan, leaving two thirds with Life/God. Therefore Satan, given only to Himself, due to vanity and taking the job, of authority over demons then became Death and so our suffering, himself. “The Father of Lies”, as it is written. Lies by nature are a reality distortion, evil, and it is a distortion to think they are beneficial. Therefore Satan is the Father of reality distortion and abuse, and false witness. The accuser and ALWAYS hides his nature in the beautiful pretense of godliness! In fact only Christ appears more beautiful. Job number one, with the power of intelligence (not like God however, by far), and the power of time and space, and the now FAKE power to appear as the angel of light, and the Bible is clear, He WILL fool many into thinking he is Jesus, and this is the anti-christ, and the other jesus-es (because lies are many, do not really fit, and are not congruent, contrasting The Truth and is congruent and Who is Jesus) is to deny a Satan, or an eternal death (hell) or complete separation from God exists. Plus it’s most evil and inferred we’re evil to even look at the real character of evil. Have you not seen God’s good and perfect character better, by it? This to, evil does not want you to do. Know the set character of evil, or be fooled by the distract-er major. The illusionist. Two things about the fixed unchanging character of Satan. Satan pretends to be good, Jesus, Christian, giving, loving or whatever it takes to get the job done and also infers that God has some evil slant, in God’s wrath “that we can’t fully understand” or by His Justice. Both of those are lies. If you can discover why, then you are truly wise. Be you see those are not changes. The pretense of good is still evil. You NEED the Bible, if you want Love. He’s The Only Way. You better get that we’re worse than we think, and Jesus is better. I didn’t say this is about feeling bad about yourself. That’s NOT Jesus. I’m saying you know you do, without those sins forgiven and you will not get to God without His Son. People talk about Love and tend to miss how much, and perfect Jesus Love is for them. Yet you get nothing unless you take it. It’s free, you know. …Cost Jesus His ALL and He did nothing to deserve it; but this is the ONLY righteous we can ever have. …Never by our works, only by His, through us. Not a dead faith. The Living Jesus of His Word. You will always be a slave to your sins without His Power for Living. The Bible says then His Holy Spirit will live in your heart partly now, growing until full then in heaven (with God)and this is His deposit that guarantees your salvation and a “seal” in His “book of life” (so to speak) recorded by God Himself. We really just don’t understand how much Love comes through with God’s “deals” with His children! The “deposit” is The Holy Spirit Of Life. Yes the same power that rose Jesus from the dead. You know you’re “bird in the hand, is better than two in the bush.” is going to miss you heaven if you don’t get over yourself. You know it. I know you know it. That “bird” is the devils best “prostitute” and I don’t care how high class, that can’t be better than the unknown God has in store for us. It’s can’t be about you physical eyes people. It’s your spiritual one you need. You have to see your sin is really death and you have to make God the boss even over you. Hey, God not an imperfect earthly boos or parent! We’re talking PERFECTLY GOOD. You going exactly the way of Satan (by vanity…gives greed, or immorality, and is idolatry the same stuff really), if you can’t at least bow to God. Otherwise you know who you are really serving, and though, you say it’s you, it’s death. Do not be mastered by death, who is slavery complete. Did you think the devil was not slick? Why? Who told you insane was stupid? See what I’m saying? WHO are you listening to? Find a Bible; because we only get a few choices and this to, is just. We can’t even say were going here, or over there tomorrow; because we don’t know the days God has set for us. The day God know we’ve set our course in Life were ready, young or old. It happens everyday. Then too God uses tragic deaths, even for good, every single day. A wake up call for many. If the lord wills, I will do this or that. End times, and all that? Disasters? Shoot, what about our hearts? There but by th grace of God go I, and that include you. I’m telling you, the Bible is all true, and He says BE READY. Now what glory am I getting for this? Am I dragging you into my church, for better or worse? No. This is about His Spirit of Life. Answer Him. If you do not want to be like a baby to an alligator then you need to grow. Remember and on your five fingers everyday, READ, PRAY, OBEY, FELLOWSHIP, and WITNESS. His peace to you all. That’s all you’ve got. It’s come from the renewing of your mind, and that Bible (NIV maybe and a concordance, lookup words, get the meaning, use audio Bible) cover to cover context, about Him. Not external and the lost people around you. They will never, all be fixed. Jesus is your perfect friend. I’m curious why in genesis it says. And God said let us create man in our image. Who is US and OUR? That’s clearly plural. Whaaaattt? Atoms and chemicals are only a theory??? Have you ever glimpsed into an electron microscope? Did you realized we put transistors on actual atoms for computers? Phones? How did no one question that? This and the other vid of his I watched lean more to a debate of if there is a god or not. I’m fine with god, it is Keller’s religion that is far too weak and unreasonable to believe.His closing is an insult. To say “Therefore, nobody is really objective” is a slap in the face. Who is he to say such a thing? He seemed moderately intelligent up to that point though he did little to address whether of not the life and times of Jesus as written are worth believing. 8:31 “Science can’t tell us what ‘love’ is”Love is a Chemical in the brain and a hormone you get when you find a sword in your pants.”I don’t know what the dichotomy between Religion and Science is”Maybe you advocated a book you clearly have no coherent comprehension of to actually call a substantial “Progressive and Rational” mindset.This whole debate is wack af dawg, 3/10 – ign, I wouldn’t make love to it. I grew up in a scientist’s home. We had many debates over the Bible and science. I am a Christian and an evolutionist. I find no conflict between the Bible and science. I think many times that the reason people do find a conflict between the two is that they have been taught a certain thing or told a certain thing about the Bible which is actually not in the Bible. For instance, if we are looking at the first chapter of Genesis, and we have been told that God created everything in 7 days, then we are prone to put the 7 days within the context of our own ideas of time and think the first chapter of Genesis meant 7 days of 24 hours each. Guess what! The first chapter of Genesis does not tell us how long a day was in the beginning of creation. I think we all are curious to know the sequence of events that got us here. However, I do not think we can use the Bible as a science book to tell us how we got here. The Bible just explains to us that God made everything. How He went about it, we are still discovering. What I do think is that God created everything, and science tells us how He did it. We just have not discovered everything yet. As far as proof that Jesus Christ ever existed, look at the historian Josephus and some of the other historians of the day. You will find that they speak frequently from first hand knowledge of Jesus. Does anyone know if this is available with Spanish subtitles? There are way too many topics flying around in a short time to be able to get a good discussion going on.